Plumb Pak's wave grab bar. 1/4. 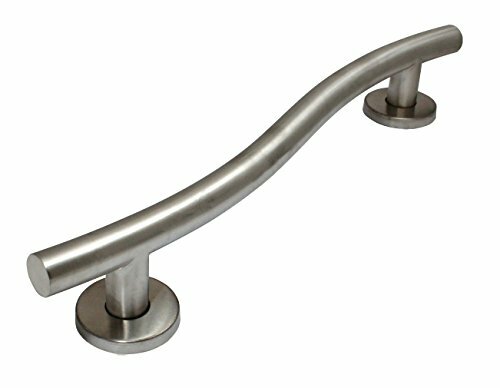 16-Inch is constructed of high quality 18 gauge stainless steel with brushed nickel finish. Includes (2) 3-inch flange covers, (6) 2-inch stainless steel screws. Available sizes: 16", 24" and 36"
If you have any questions about this product by Keeney, contact us by completing and submitting the form below. If you are looking for a specif part number, please include it with your message.